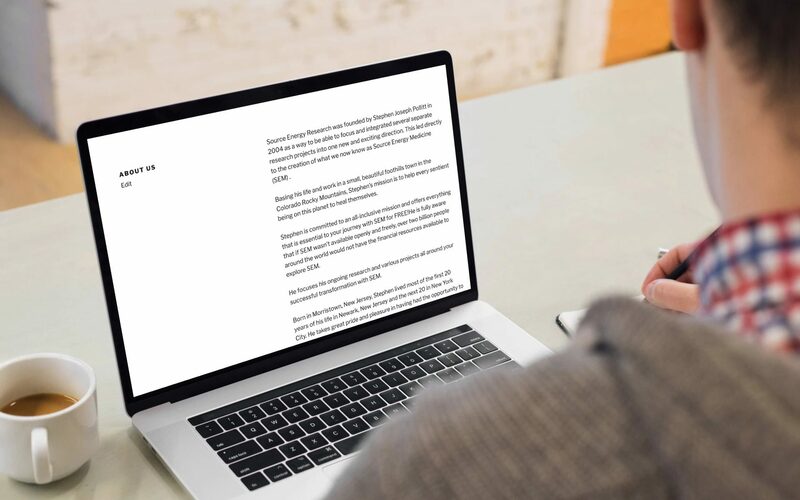 Source Energy Research was founded by Stephen Joseph Pollitt in 2004 as a way to be able to focus and integrated several separate research projects into one new and exciting direction. This led directly to the creation of what we now know as Source Energy Medicine (SEM) . Basing his life and work in a small, beautiful foothills town in the Colorado Rocky Mountains, Stephen’s mission is to help every sentient being on this planet to heal themselves. Stephen is committed to an all-inclusive mission and offers everything that is essential to your journey with SEM for FREE!He is fully aware that if SEM wasn’t available openly and freely, over two billion people around the world would not have the financial resources available to explore SEM. He focuses his ongoing research and various projects all around your successful transformation with SEM. Born in Morristown, New Jersey, Stephen lived most of the first 20 years of his life in Newark, New Jersey and the next 20 in New York City. He takes great pride and pleasure in having had the opportunity to marry the love of his life, Valerie, in 1985 and to spend so many wonder-filled days and years with her. Stephen considers himself a life-long student with an endless thirst for new knowledge and experiences. He enjoys studying various forms of yoga, meditation, martial arts, Chinese Shaolin kung fu, tai chi, pa kua, qi gong and, especially, nutrition, anatomy, physiology and physics. Anything and everything that affects one’s health and quality of life interests him. Stephen enjoys the arts and plays a few musical instruments. Stephen wrote a screenplay for a feature film that is intended to stir and hopefully wake the general population, resulting in positive shifts to global human consciousness. He has been working to bring it to the big screen and is already working on another screenplay. He recently completed a novel and recently wrote an outline for another. Both novels also hold the intention to positively shift global human consciousness. Stephen is a graduate of The Institute for Integrative Nutrition in New York City. After graduation, he worked as a staff nutrition counselor at the Institute where he mentored graduate students while also working in private practice. Later, with colleague Juliette Closset, he co-founded Healing Spirits, a complementary holistic healing arts center in midtown Manhattan. He moved to Boulder, Colorado in August 2001, shortly before the attacks on the World Trade Center. In 2004 he and Valerie moved to their current home in Colorado. In addition to being a popular lecturer on a variety of health-related topics, Stephen spent several years working as a medical intuitive in private practice both in Boulder and with Healers Who Share. In May 2004 Stephen’s research took a new direction and was fueled by a strong desire for a more complete system of healing, particularly one that could be more cost-efficient and therefore available to more people. 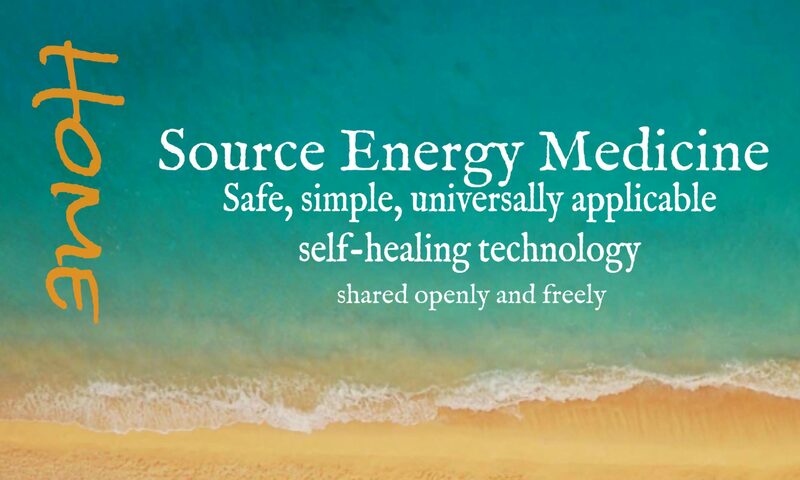 By October 2004 many years of research culminated in the development of what we now know as Source Energy Medicine. Stephen calls upon a wide group of well-known resources to help others understand the nature and science of Source Energy Medicine. He has been personally and professionally inspired by the work of many, including Jill Marie Wood, David Alan Slater, Hanna Kroeger, Dr. Wayne Dyer, Dr. David Hawkins, Dr. Bruce Lipton, Dr. Joe Dispenza, Esther and Jerry Hicks and the Teachings of Abraham, Joseph S. Benner and Joel S. Goldsmith, Marianne Williamson and the teachings within A Course in Miracles. He credits each and every one of his clients as being among his best teachers. Feeling blessed and honored to be the steward of Source Energy Medicine, Stephen is thankful to be surrounded by so many supportive, loving and inspirational people. Stephen credits Source Energy Medicine as being Divinely inspired. Despite nurturing, developing and testing every aspect SEM, he doesn’t claim ownership. He believes it comes from the Source of All Creation and is here for the benefit of all.